I love me some Costco. Sometimes people are surprised I shop there considering I live by myself. But you don't have to be a big family to make a Costco membership worthwhile. Among the things I often buy there: organic olive oil, organic chicken, frozen shrimp, prosciutto, canned tuna, sun dried tomatoes, San Marzano canned tomatoes, castelvetrano olives, chicken stock, gluten free pasta, almonds, toilet paper, laundry detergent, Advil, Zyrtec, gas... I could literally could go on and on. 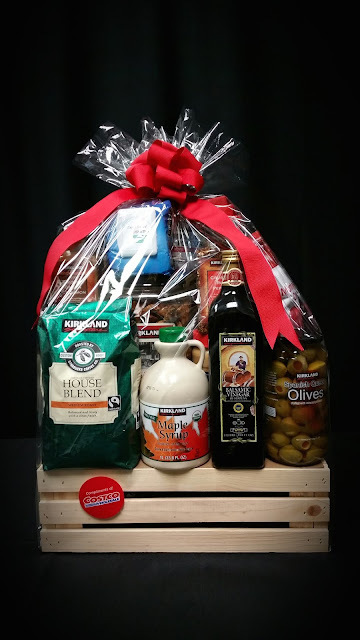 So I'm super excited today to not only offer up a great recipe that uses a lot of my favorite Costco ingredients, but also a giveaway for people in the New England area as we get ready to celebrate the opening of the New Britain Costco! I recently had a chance to sample some new Costco products, and now I can add Namaste gluten free flour, organic dried cherries and organic coconut oil to my Costco favorites list! 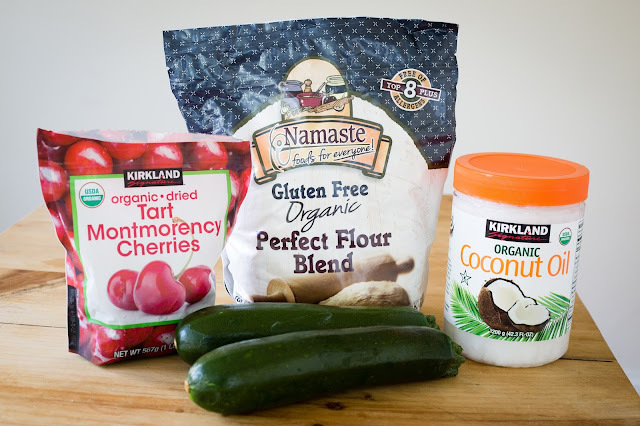 I decided to make some gluten free zucchini muffins for the occasion, and this flour is awesome because you just substitute for normal flour in any recipe cup for cup. I know zucchini is generally a summer item, but I was delighted to find plenty of it at my local farmer's market last Thursday so I considered it a sign. I also substituted coconut oil for butter in a recipe I adapted from Simply Recipes. As many of you know, I do not consider myself a baker (too much math and science and precise measuring), so I get a little nervous when I whip up a baked item. But I made a double batch and used my co-workers as guinea pigs, and I received a resounding stamp of approval. (Unless everyone is lying to me). Not sure if this made a difference, but I used a food processor to grate the zucchini instead of a box grater, and they turned out super light and fluffy! 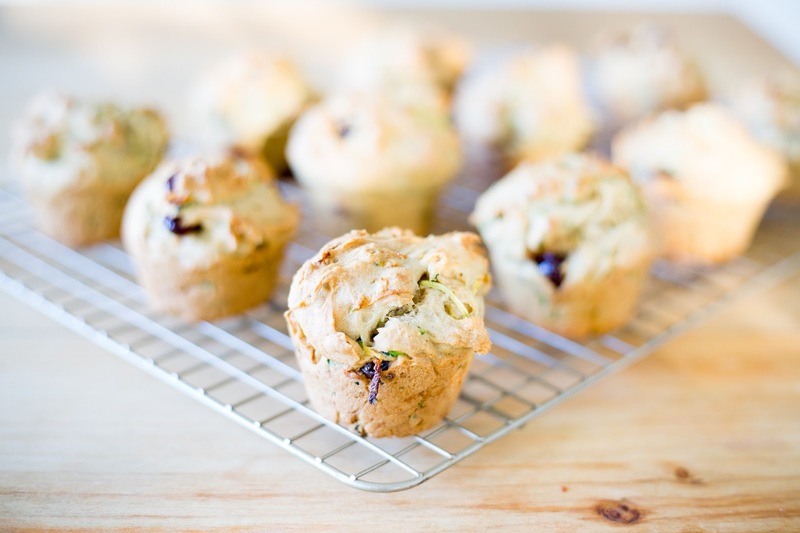 With the zucchini and gluten free flour and coconut oil and dried cherries... these are actually pretty healthy. BUUUUUUUTTTTT... if you would like to make them a little decadent, then throw in a few chocolate chips and you've got sure-fire crowd pleaser. To win this, you need to be able to pick up by the end of the week at the new Costco opening this week in New Britain, CT.
You can use the dried cherries, cinnamon, sea salt in the zucchini muffins, and while you're there you can pick up the gluten free flour I used, as well as the organic coconut oil! To enter, simply leave a comment below with your favorite item or items you like to buy at Costco and a contact email! I will select a winner at random on Wednesday at 5PM EST. Preheat the oven to 350 degrees. In a large bowl combine the sugar, eggs, and vanilla. (You don't need a mixer for this recipe). Stir in the grated zucchini and then the melted coconut oil. In a separate bowl, mix together the flour, baking soda, nutmeg, cinnamon, and salt. Stir these dry ingredients into the zucchini mixture. Fold in dried cherries, and chocolate chips if using. Coat each muffin cup in your muffin pan with nonstick spray. Use a spoon to distribute the muffin dough equally among the cups, filling the cups up completely. Bake on the middle rack until muffins are golden brown, and the top of the muffins bounce back when you press on them, about 25 to 30 minutes. Test with a long toothpick or a thin bamboo skewer to make sure the center of the muffins are done. Set on wire rack to cool for 5 minutes. Remove muffins from the tin let cool another 20 minutes. My favorite items are the peanut butter, the coffee, or the popcorn!! (I could choose a few more) Too bad I live in SC and wouldn't be able to claim the prize. 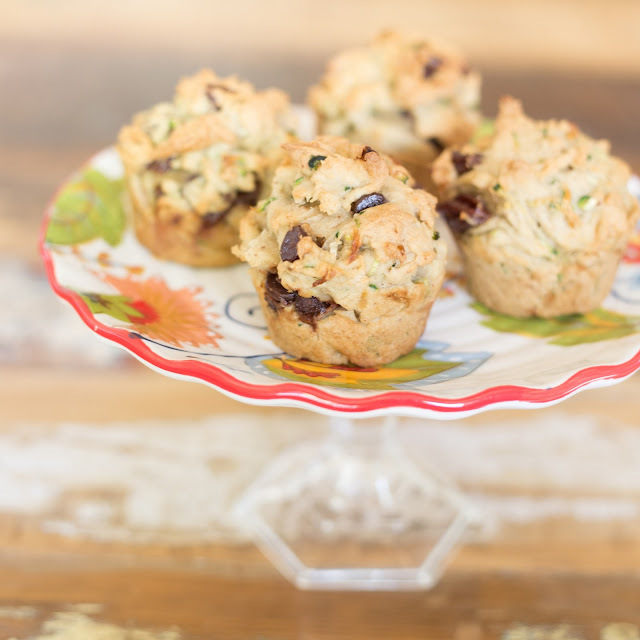 I did want to leave a comment and let you know how good the muffins sound and look! And if you want, you can email me back! coachbentleyhargrave@gmail.com You are a star! I love shopping at Costco, even though there are only two in our household (I wish I were eligible for the giveaway, but alas...too far away!)! The dried cherries are one of our favorites. 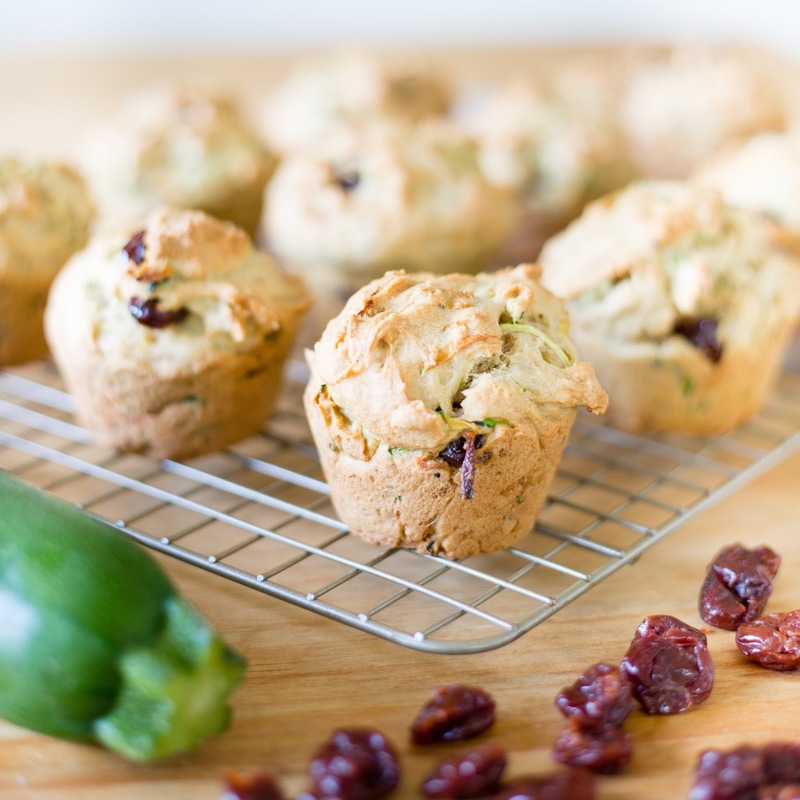 These muffins look fantastic - cherries and zucchini are such a unique combination! Thanks for stopping by! Definitely unique, but somehow it works! :) Glad to meet a fellow Costco lover. You had me at zucchini...and then you threw in chocolate. I'm sold! I have no idea Himalayan Pink Salt is, but I want to. Wow! I have a lot! Balsamic vinegar, bacon, pretzels, salsa, crushed red pepper, olives, and popcorn. I also share Mark's curiosity about Himalayan Pink Salt. Jaymee...you are a star in your field! In addition to Pampers, I love to buy salmon in bulk at Costco. Keep up the great recipes on jello shots! Wow. The sweet that you have shared here, looks much delicious and yummy to eat.